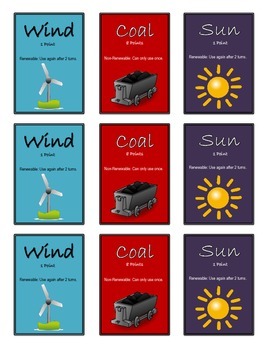 This is a game based on the concepts of renewable and nonrenewable resources. 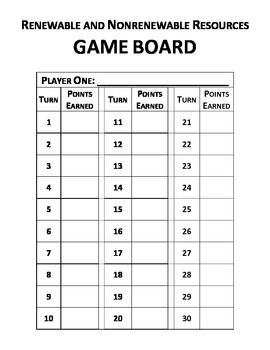 Printable cards each have different point values. 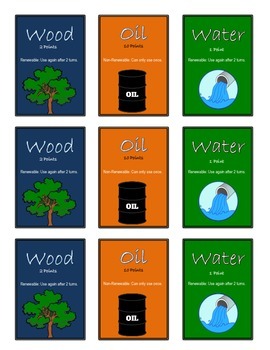 Renewable resource cards can be used more than once, but nonrenewable resources can only be used once. 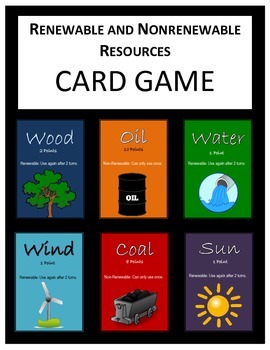 Students try to earn the most points possible, and in the process, learn about the value of renewable resources. This product also includes suggested questions to use for discussion. The questions help students see the relationship between the game and real life science.